Quick summary: In this lesson, students investigate how and why zoos do conservation work. They begin by examining a series of positive and negative statements about zoos, including that zoos have an important role to play in conservation work. They then look at what is meant by ‘conservation’ and analyse the Philippines Crocodile conservation program in which Zoos Victoria are a conservation partner. Students then research an Australian animal involved in a conservation program and create a presentation to share with the class. Students can use an assessment rubric to assess the work of their peers. 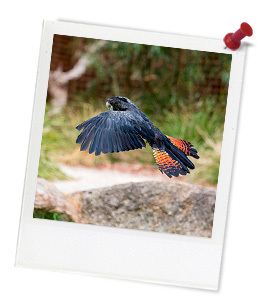 This lesson has been developed in partnership with Zoos Victoria. Zoos Victoria is a zoo-based conservation organisation whose mission is to fight extinction and support Victorians to be the world’s most wildlife friendly community through being caring, informed and active. Zoos Victoria operate three zoos: Werribee Open Range Zoo, Melbourne Zoo and Healesville Sanctuary. 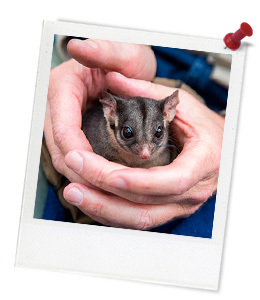 Click here to find out more about Zoos Victoria and their work on fighting extinction. Students understand what conservation is and what a conservation program involves. Students understand why we need conservation programs for animals both in Australia and overseas. Cross-curriculum priority: Sustainability OI.2, OI.7, OI.9. Level of teacher scaffolding: Medium – lead students in guided discussion, guide students through activities. Resources required: Student Worksheets – one copy per student. Device capable of presenting a video to the class. Art materials. One printed copy of the Learning Journal for each student (or invite students to access the Learning Journal used in the Tuning In lesson). Zoo Statements. Consequence Chart. Presentation Assessment Rubric. Keywords: Zoos Victoria, zoo, fighting extinction, extinction, animals, conservation, breeding, education, improving habitats, Philippines Crocodile. ... create and present a presentation. ... apply critical thinking skills. Thought Starter: When did you last visit a zoo and why? What do we already know about zoos? What do we already know about animal welfare? Who are zoos for – people or animals? Why? You are now going to focus on the idea that many zoos have a vital role in protecting species through their conservation programs. 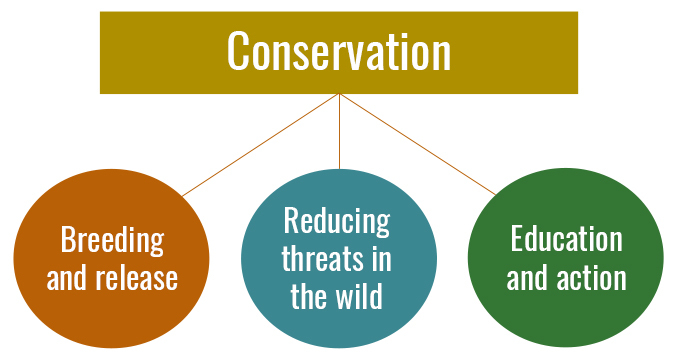 What is involved in a conservation program?